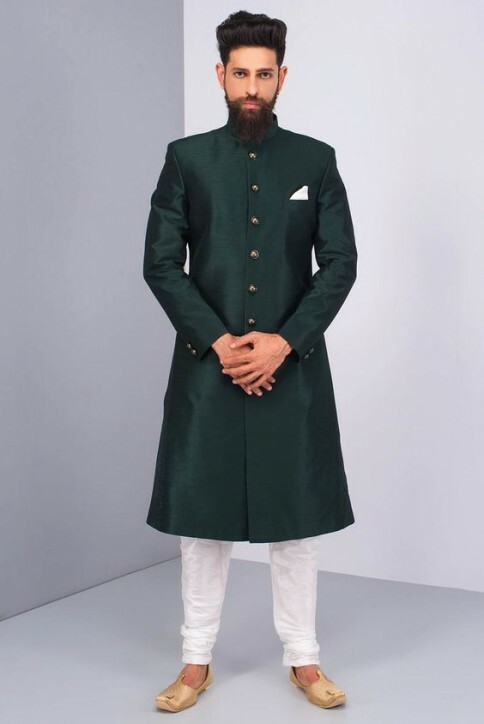 As far as engagement is concerned for men, all the latest men engagement dresses 2019 in Pakistan have been supplemented here so don’t panic out. It’s not just the ladies who get confused over the sticky question What to wear? 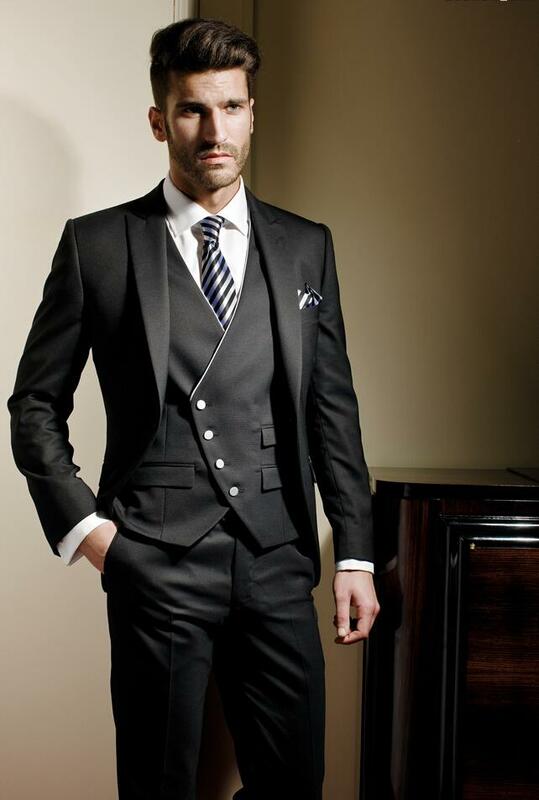 but men also face this state of mind and become immensely unsure about what they are going to wear. If there was any better day to look good for you, it is your engagement day. 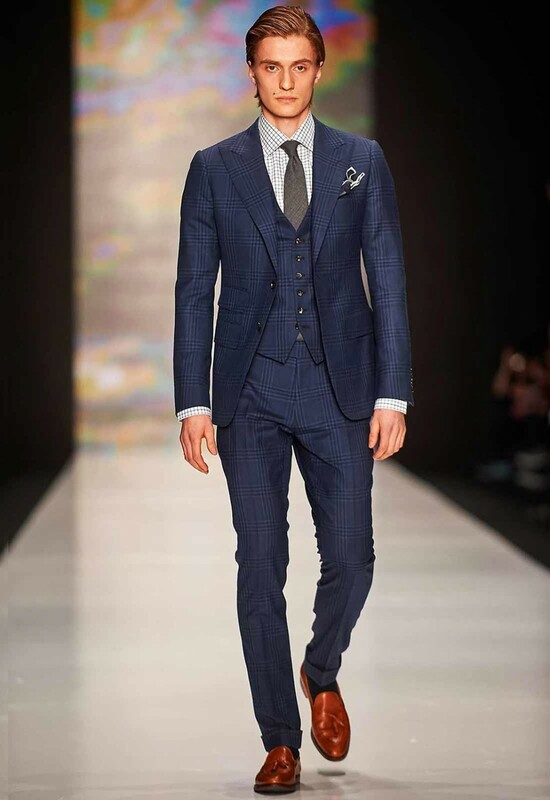 Wearing a suit is not the only option that most of the men assume, as there are multiple engagements wearing dresses that can be adored on your engagement ceremony. 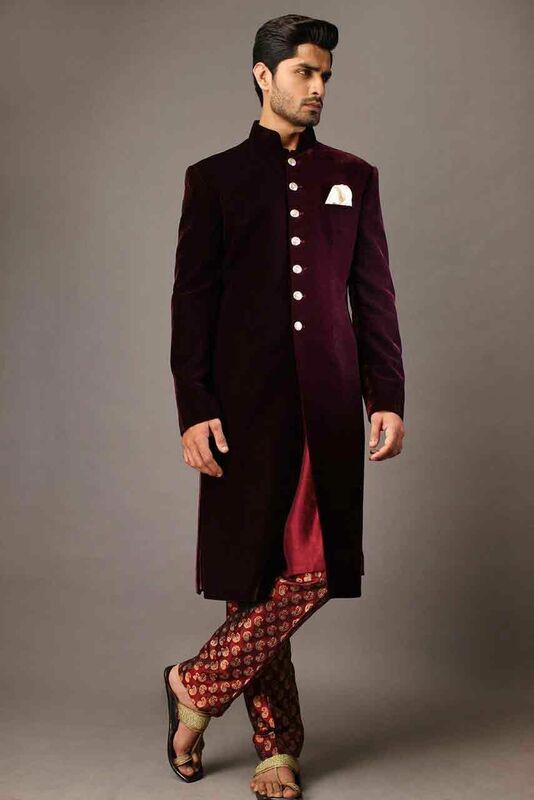 The engagement day is your last chance to convince your soon-to-be in-laws by wearing a stunning dress on this day. Your engagement day is not just about plotting ring to the bride’s hand, it also demonstrates your impact on the bridal friends and family members. Your engagement ceremony is going to put you in limelights and you probably want to plot a mark on others by wearing a dress that gives a message you want to be taken seriously. 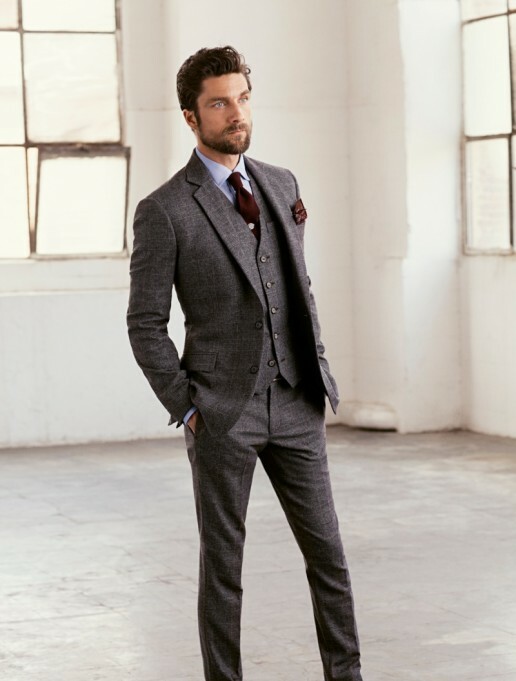 From formal dressing to maintaining a classic look at the engagement party, the Styleglow team is here to help you find that attire that you are in search for. 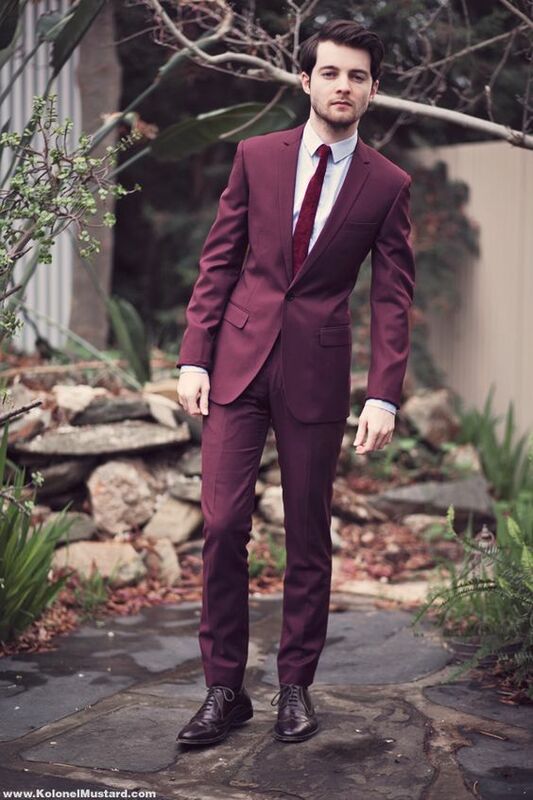 Must attain an astounding look and make sure to experiment a dress that will gain you respect from the bridal home side as it is considered as the last chance for leaving an impression before the wedding. So must also are for your bride, suggest her some beautiful Bridal engagement dresses for making her decision clear. 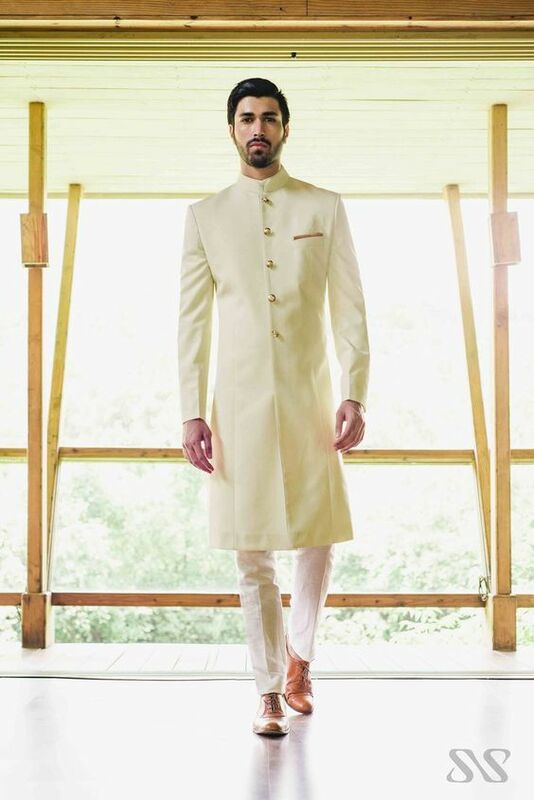 One can wear a Pakistani groom sherwani for his wedding day but when you are getting engaged, you are going to be the center of attention! 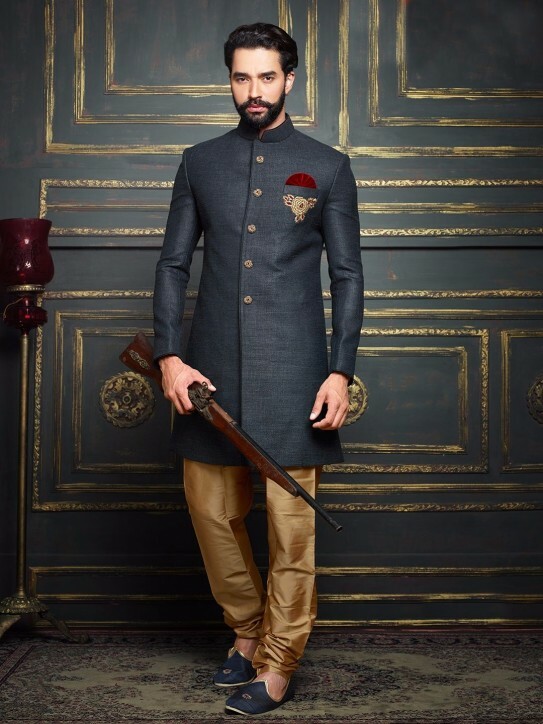 An engagement dress for groom might look like an unimportant thing but trust me guys it makes the most difference when in-laws and family is going to see you start your life in a well-fitted suit. 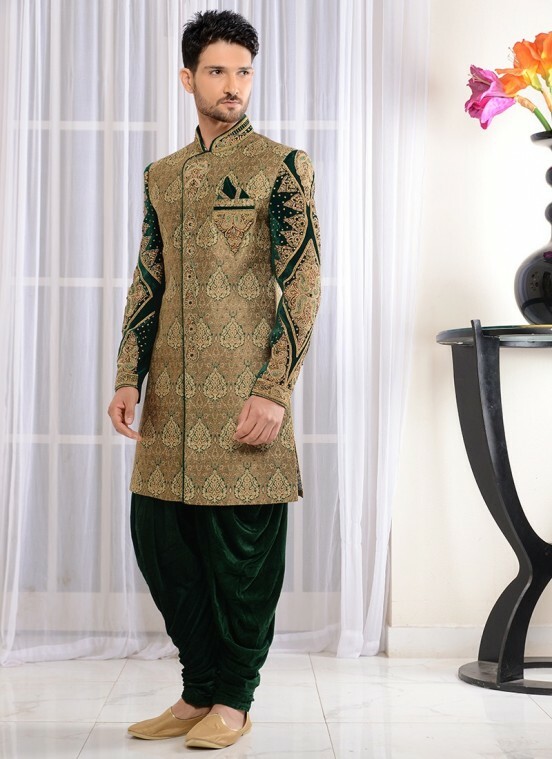 Sherwani is something that never moves out of the fashion trends and can be adorned on multiple occasion from wedding wear to any certain moment. When you are getting engaged, it’s best to stick to tried and tested classical outfit but also have the bridal dress in mind to have a matching dress which is for a lovely impact and the bride would love it. 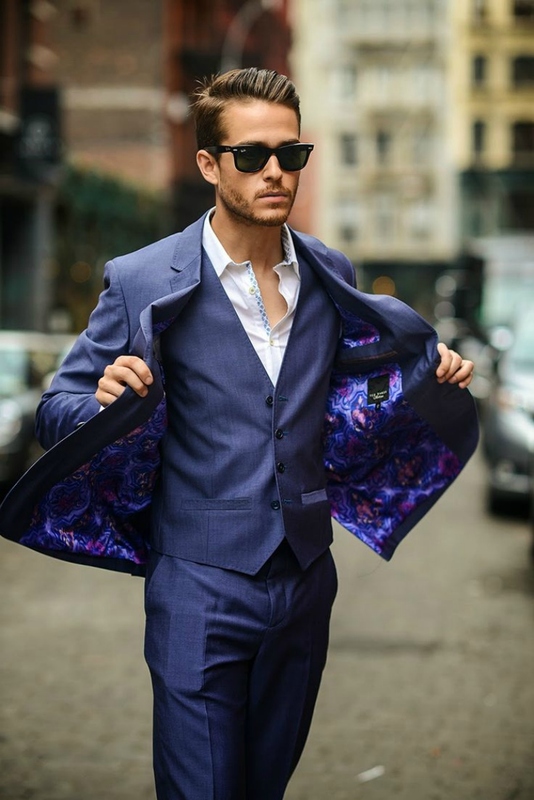 You do not have much room for creativity but there are loads of options which will surely encourage you to show off your personality and make you the star of the evening. If you are going to have a huge crowd on your engagement party then there is going to be a great event for you. 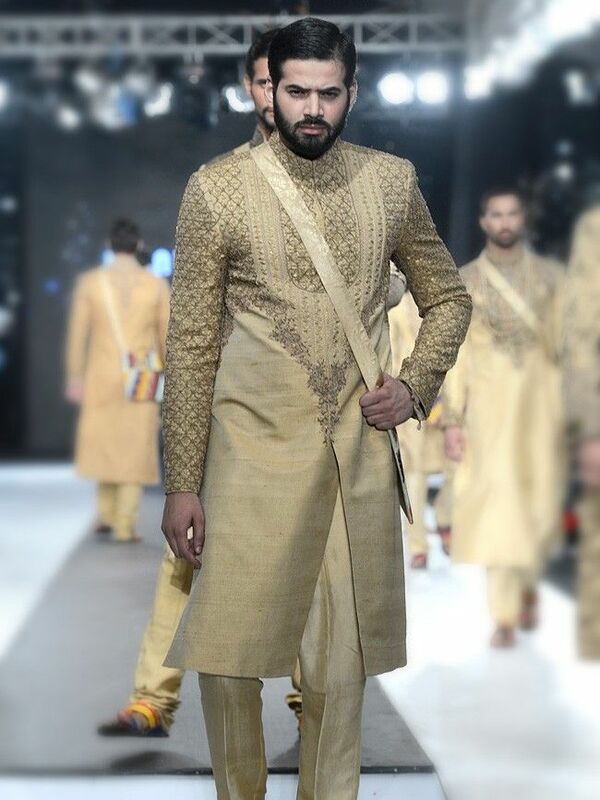 You can also go for a shalwar kameez design with a waistcoat on top if you want to make a humble impression. 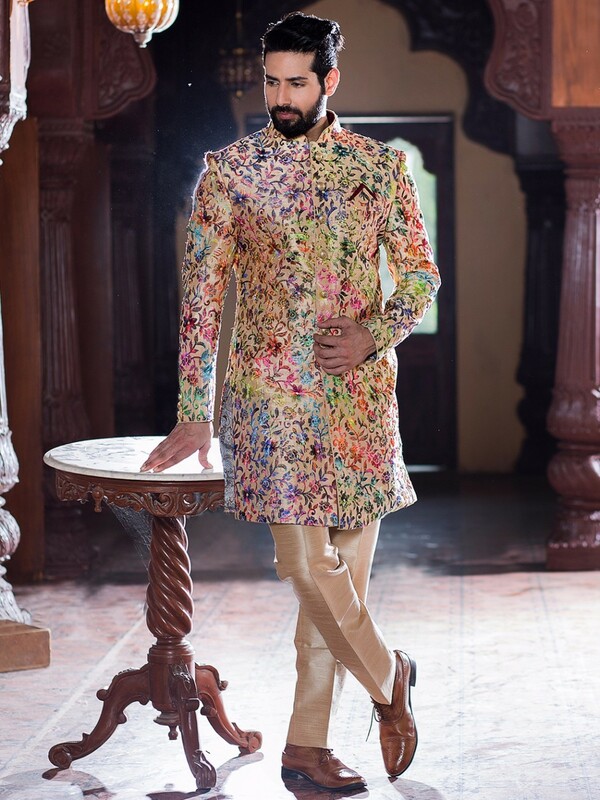 When it comes to Pakistani engagement outfits, people tend to choose from a simple shalwar kameez and sherwani to a suit that makes your appearance everlasting. 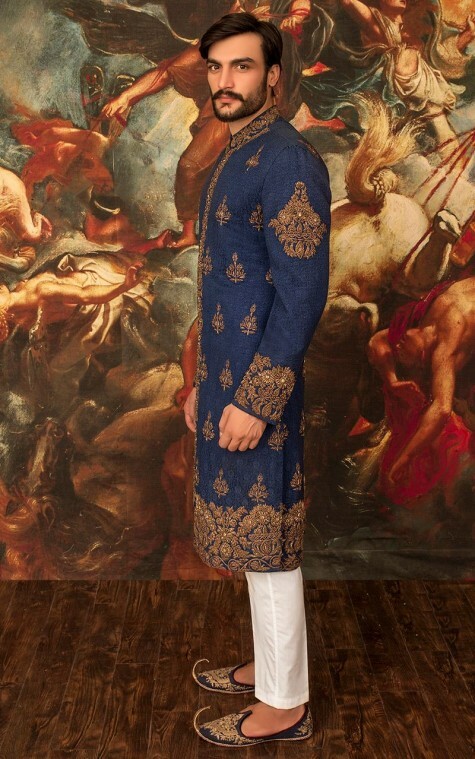 dressing up for someone’s celebration doesn’t bother you but dressing up for your own engagement ceremony is really going to be a daunting one. 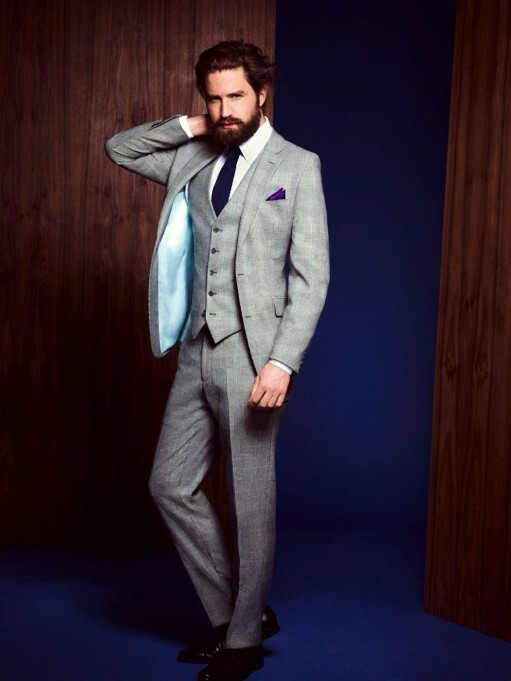 So don’t waste your time and you can also select an outfit from these top men suiting brands with men shoe collection. 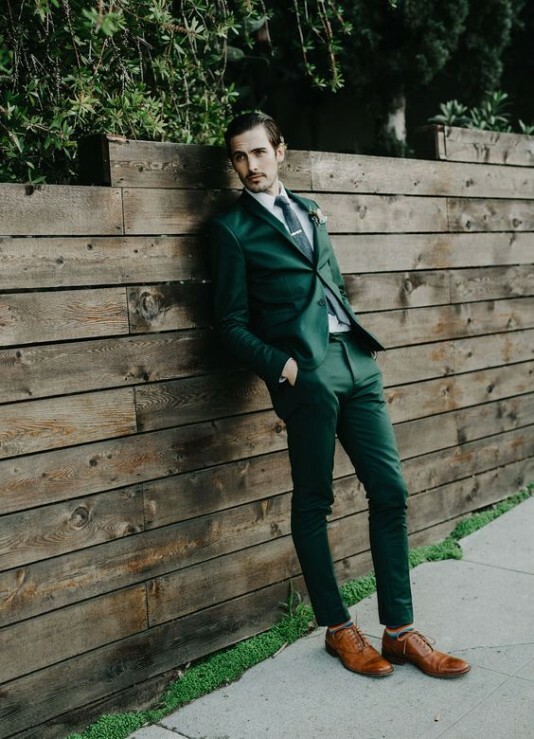 Wearing a suit for your engagement party will surely be a good thing but don’t go for a plain styled suit that is in a darkly shaded scheme, have a color combination that is at least matches with the nuptial dress or a glowing color. Men at certain moments seem to have limited options as compared to women. 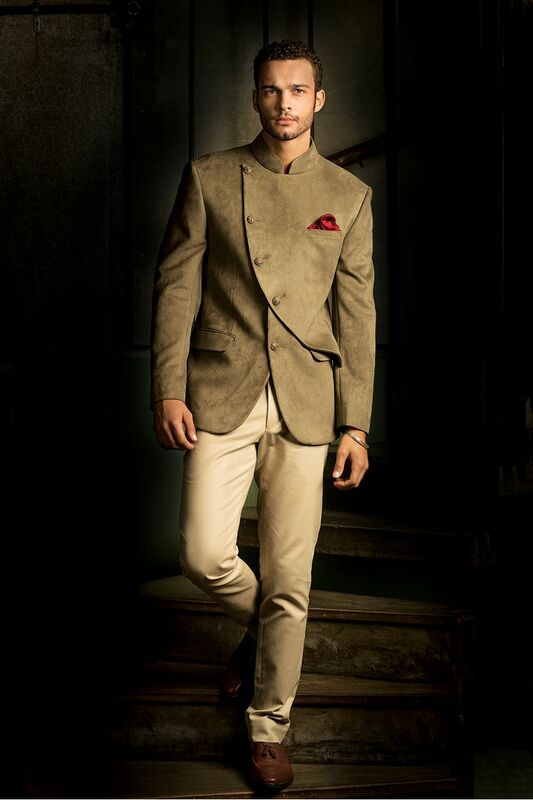 So choose wisely from these extravagant suits that surely would make you the star of the moment. 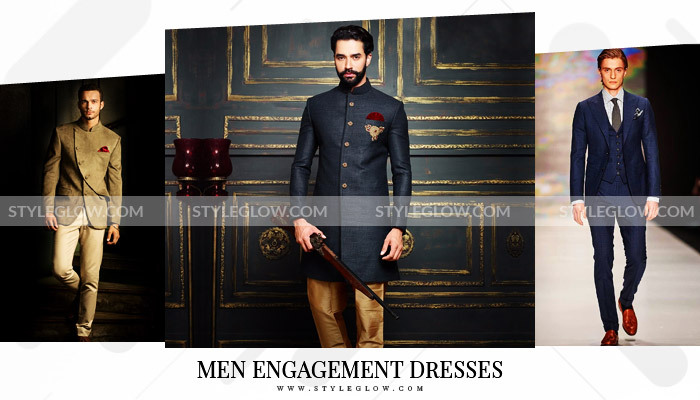 Whatever you opt to wear just make sure latest men engagement dresses 2019 in Pakistan is all that you are going to need. 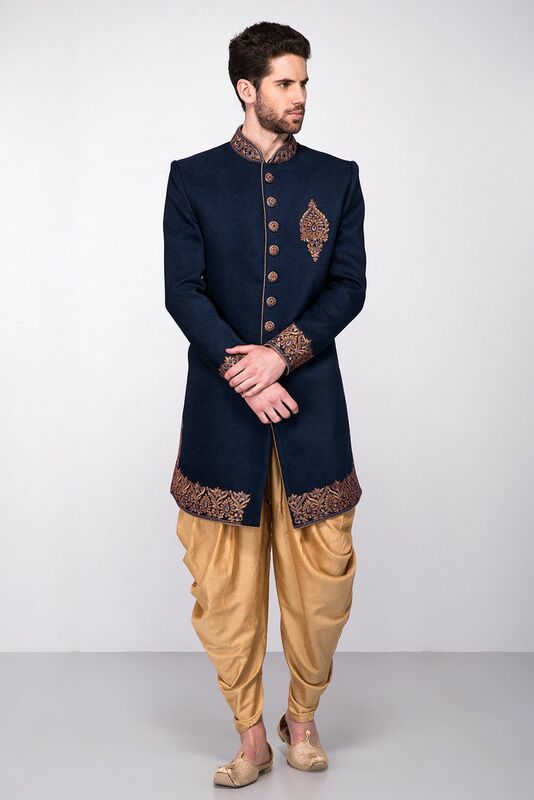 A well fitted and a smartly tailored dress for your arrangement day will make your presence up to perfection. Last but not the least, if you are not the experimental type, don’t panic out and try plain black because black can never go wrong.